After GNCC Round 2 Kyle Chaney was leading the points race with Hunter Miller and Cody Miller hot on his trail. Next up was the GNCC Wiseco Piston John Penton UTV race in Millfield Ohio. Friday the sky dumped over an inch of rain making the track a muddy mess for the single seat race Saturday Morning. The UTV guys were hoping the sun would come out and that the traffic from the single seat UTV race and the Pro ATV racers would dry the course out almost entirely. Well that wish came true. 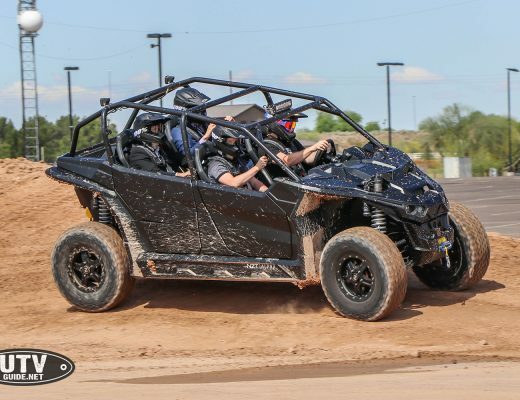 The starting XC1 Pro UTV line up was 2016 defending Champion Cody Miller, Can Am factory racers Hunter Miller and Kyle Chaney and finishing out the 1st row was Polaris Factory Racer William Yokley. As the 10 second warning was given, the racers locked in and got ready. The hole shot belonged to Kyle Chaney with Hunter and Cody dead on his bumper. As Kyle round the first turn the 4wd had let go and he was only pulling with 2 wheels. The car spun out in every corner giving the lead over to Cody and Hunter who swapped back and forth for the physical lead the entire first lap. At one point after the first lap was over the adjusted times were calculated and the the entire XC1 class was being lead by a XC2 car. Not long after, Tim Farr takes back the lead with corrected time with Hunter and Cody Miller hot on the trail. At a 9:19 time average per lap it didn’t take long for Hunter to move to the front of the pack in his Can Am Maverick with Cody Miller eating his roost for 2nd place in his Factory team Yamaha racing Yamaha YXZ1000R. With the laps building up and the time ticking away fast, Tim Farr was in physical 3rd with Cody Miller in 2nd and Hunter Miller in 1st. As the last lap drew near it was evident that Kyle Chaney had to pull off the course due to 4wd failure leaving the points lead up for grabs. When Hunter pulled on to the MX course during the white flag lap he knew had to drop the hammer and not make any mistakes as Cody was right behind him. Hunter held off Cody for the Victory giving Team Can Am another 1st place overall podium for the 2017 GNCC season. Cody Miller finished in 2nd giving Team Yamaha its 3 podium of the year and another 2nd place podium finish. Tim Farr brings home 3rd for team Can Am and moves up in points for the year. The mechanical failures on Kyle Chaney’s car forced him to give up the points lead and hand it over to Hunter Miller. Cody Miller moves to the second spot and Kyle drops to 3rd in overall points. 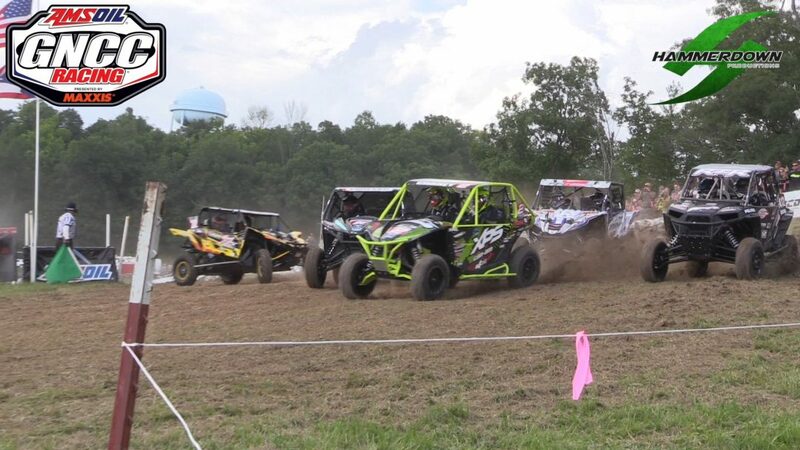 With the next GNCC UTV race not till September 23rd in Morgantown West Virginia, these driver have plenty of time to work out the bugs in their cars. We will see how the points stack up for the second half of the season. Stay tuned. The battle for the points lead is heating up quick.